When I first signed up for Hospital Hill Half earlier this year, I decided that I was going to shoot for a new PR. After all, my previous PR was on a very similar course in KC – the KC Half Marathon. After some health struggles and figuring out that my thyroid stopped working, my training took a back burner just long enough for my priorities to change for my Hospital Hill Half experience this year. While a PR might still be in the cards, it is not my top priority. 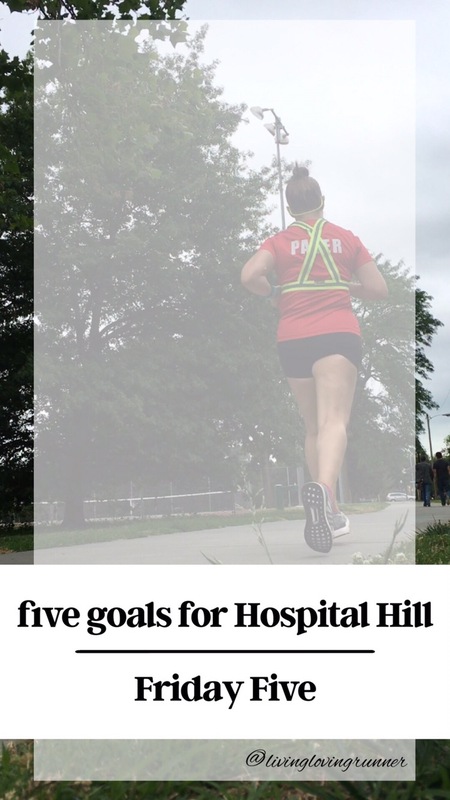 For this week’s Friday post, I am going over my top 5 goals for Hospital Hill this year! There is nothing like a great expo to add excitement to a pre-race experience! As I have experienced a couple of Hospital Hill health and fitness expos in the past, I know they are top notch! There are many vendors, local and beyond, that come out to show support to the runners of the weekend. The Hospital Hill Re-Run gives me an opportunity to volunteer for the 5K on Friday evening and run the half on Saturday morning! Yeah, the Re-Run is set up for you to RUN BOTH events, but since (1) I only signed up for the half and (2) I will already be in town, I decided to volunteer for Friday evening as a course marshal! I have several cowbells I plan to bring and ring…and I am always full of empowering things to say to other runners… It’s perfect! Plus, there are some GREAT perks!! AND Course Marshal volunteers receive a 50% discount off of their 2018 Hospital Hill Run race registration. Friday night Course Marshals can use their discount for June 3, 2017 if not yet registered to run. They are still looking for volunteers for both Friday night and Saturday morning. If you want to come out and support the runners, go ahead and volunteer! Hospital Hill Half – oh, those hills! There are many, many hills of the Hospital Hill Half (*heck, it has “hill” in the name of the race, you can expect some hills)…and running them well can make or break your race! Have Fun! This is one of my main goals for this year in running…and when other goals go out the door, you bet that HAVING FUN is at the top of the list! If I am not having fun, what else is there? How will I have fun?? Cheering on other runners and making sure that I am smiling more than grimacing…ha! If I see the photographers before they see me, you bet that I will be jumping around to get a jumping shot! Making the most of the day will be a top priority. There is still time to save!! Use the code “BIBRAVE” at checkout for 10% off your registration (not valid on the family 5K pricing). Register today and save a little cash and use the savings at the Health and Fitness Expo! I LOVE that you’ll have the opportunity to volunteer! I’ve always wanted to volunteer at a race or an expo, but my schedule is usually so hectic during race time I don’t even have time to make it to the expo, let alone volunteer! Maybe next season I can try and block out more time to volunteer! Good luck at Hospital Hill! I love running to because it is so simple and requires minimal gear. But somehow it ends up becoming expensive with all the add on we like to have. That picture is so true! So true! For being a “cheap sport”, it can really add up! I love that you’re volunteering at the 5k and that you’ll have a cowbell with you. 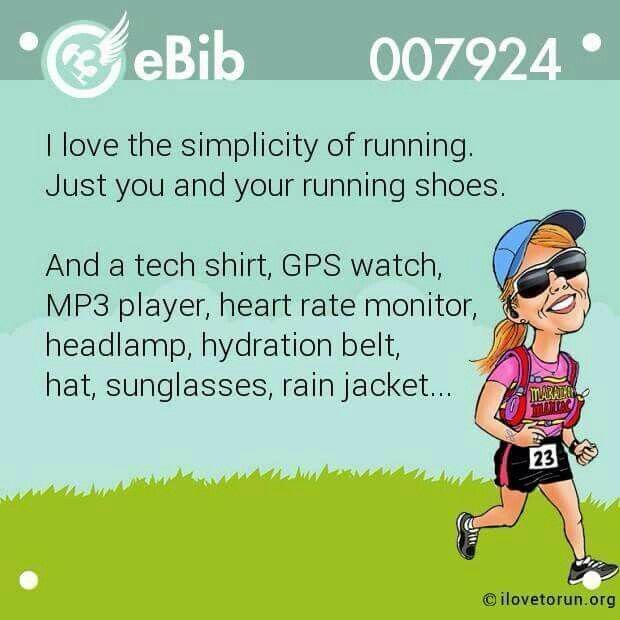 It makes supporting runners so much easier. My throat always sounds coarse after cheering for runners. Haha Have a great half and crush those hills! Oh yah! I am excited! Have a great race… and have fun volunteering! Hospital Hill was my very first half back in 2002… I still remember that Broadway hill! Oh boy! Those hills are crazy! And Trinity Hill…straight up!! I must run fess that I’ve not volunteered for a race before. Well, I’ve volunteered for a few really small races, but they were like charity kids races rather than organized races. Thank you to all volunteers always! Those are going to be some goooood hills–talk about your glutes working! Good luck! Thanks! I have also volunteered at small events, but this one is pretty large! Mo’cowbell!! Hope that you have a great race! I love volunteering and spectating races! I am not often on the opposite side of the race…so it will be a new experience for sure! These are GREAT goals. I’ve found that having “fun” as a goal definitely helps with the overall race experience. Good luck!! Oh yes! There are always great volunteers at the race, that helps too!